Some recent news have revealed that the new Apple Retina MacBook Pro is almost impossible to repair or upgrade locally as its battery is glued down to the body and even the RAM is soldered to the motherboard. It is also fixed with pentalobe screws for which we need some special screwdrivers. So it cannot be repaired by any other repairman other than them. There is a risk for to try repairing the device on own as most of it is glued and if you break anything then you might have to replace the entire unit as the whole device is almost like a single block. It has also been reported that Retina MacBook Pro when put on for repair in the Apple Store for replacement of batteries, they will take 3-4 days to replace the battery. Even the cost of the battery replacement will be about $199. However if you an already an Apple user you might have already guessed the price rise. It is actually 54 percent greater than the previous rate of replacing or repairing the battery. 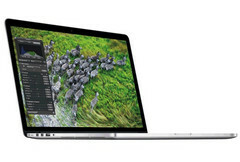 It can be also said as the MacBook Air’ battery which is almost of the same built can be replaced for $129. According to iFixit’s Kyle Wiens, Apple is asking the users to define the future of the MacBook Pro. They have presented the market with a choice of two models; one is less expensive and support expandable storage and the other with a high definition display fixed storage and a premium price tag.